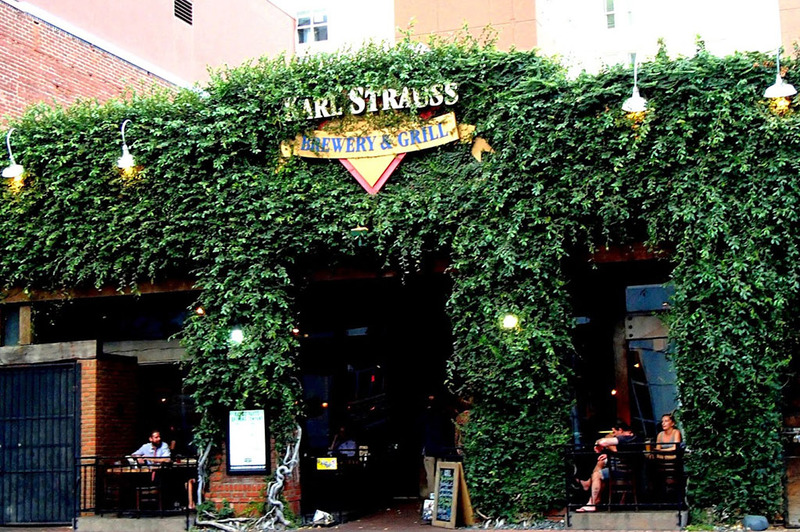 Congratulations to Karl Strauss Brewing Company on being voted Good Eats San Diego! Back in the mid-1980s, San Diego was void of the thriving beer scene it has today. In fact, the city had not seen fresh beer since Prohibition, and the term “craft beer” didn’t exist. But that wasn’t going to stop Chris Cramer and Matt Rattner; two college buddies eager to change the status quo. Inspired by a brewpub Chris came upon while traveling through Australia, the pair had a dream: bring local, handcrafted beer back to San Diego. It was on February 2, 1989 that Karl Strauss Brewing Company officially opened its doors in downtown San Diego and kicked off the city’s craft beer industry. Happily, as Karl Strauss Brewing Company grew, so did the industry as a whole. San Diego quickly became home to more breweries, many of whom got their start with Karl Strauss. Brewers and beer enthusiasts alike came to Karl Strauss, learned about quality and consistency from the best, and went off to create their own breweries. To this day, we take great pride in having influenced many of the brewers that now make up the DNA of our local brewing community. It is our pleasure to continue to expose fans to beers they have never tried before by brewing a wide range of styles and experimenting with different ingredients. Two and a half decades (and counting!) after opening our doors, we are proud of our past and look eagerly to our future.